I grew up in the panhandle of Florida and one of the closest beaches was Panama City Beach. I spent countless hours on the white sandy beaches of the Gulf of Mexico with friends and my family. It is amazing at how much has changed over the years and how many memories come flooding back when I am back on the gulf coast. While most of my visits to the area in those years were spent in high rise condos right on the gulf or on our family’s houseboat in a marina nearby, we recently spent a weekend at the Sheraton Bay Point Resort. Located on historic St. Andrews Bay, this newly renovated resort had so much to do that we never left the property, and enjoyed a full weekend of food and fun! The Sheraton Bay Point Resort is the only AAA Four Diamond resort in Panama City Beach and recently unveiled an impressive $30 million dollar renovation and rebranding. Speckled by palm trees and encircled in natural beauty, the modern new design offers five distinctive resort dining options, more than 60,000 sq. ft. of group space, and a full service spa. The 320-room, wellness-focused resort offers an experience rich with amenities for every guest. Including the only Nicklaus Design golf course in Northwest Florida, a private bay beach, three pools, direct boat access to Shell Island, watersports and tennis, five distinctive dining choices, and multiple destination wedding options, Sheraton Bay Point Resort is the only Starwood Hotels & Resorts property in the region, and one of Florida’s favorite destinations. Our Bay View room was beautifully appointed and overlooked two of the resorts three pools and the boardwalk out over the bay that leads to Pelican’s, an outdoor dining option, and on to the resort’s private bay beach. For families traveling, the Deluxe Pool View rooms provide first-floor walkout access to the main resort pools while the 60 one bedroom Golf Villas offer an escape from the main resort campus and overlook the award-winning Nicklaus Design Course. And your dogs are welcome to join in the fun! We had so much fun watching two puppies roll around in the sand on the beach one morning. One of the most peaceful mornings we had was spent on the sandy shores of the Private Bay Beach where hammocks and chaise lounges scattered among the palms invite quiet relaxation. We rented YOLO boards and went paddle boarding that afternoon. The bay is a great place to explore the waters without the heavy boat traffic and waves of the gulf. There are sand volleyball courts for a pickup game. The Hammocks Beach Bar serves cold cocktails and beachside WIFI allows guests to stay as connected as they wish. Seasonally, the property’s exclusive Bay Point Lady offers multiple scheduled boat trips daily through St. Andrews Bay to the island. Often escorted by dolphins, guests arrive to the seven-mile stretch of pristine beaches with rolling sand dunes, untouched by modern development, and enjoy a beautiful beach getaway sans the crowds. The Bay Point Lady provides beach umbrellas, chairs and snorkel gear for rent as well as snacks and drinks for purchase, offering first-class service on the island. This was by far our favorite activity of the weekend. We enjoyed several hours on the island all to ourselves, reminding me of the beaches I grew up on, only seeing the people we came with and enjoying pristine white sandy beaches only littered with thousands of shells the tide brought in. Just minutes away from the hustle and bustle of Panama City Beach, Sheraton Bay Point Resort is just minutes away for anyone who wants to explore. There are five different restaurants on the property so guests can enjoy different cuisine without leaving the resort. Boasting the culinary mastermind of executive chef Shane Miller – celebrated for his winning appearances on Food Network’s® Cutthroat Kitchen and Guy’s Grocery Games – the Sheraton Bay Point Resort dining options promise unexpected, mouth-watering flavors featuring the freshest of local ingredients. Our first night, we enjoyed dinner and cocktails at the Flip Flops Pool Bar. With its ‘no shirt, no shoes, no problem’ vibe, the open-air Flip Flops pool bar serves up casual poolside flavors for the whole family, including customized craft cocktails and local brews. With TVs playing the sport of the season and a breathtaking Bay view, Flip Flops is the ideal perch for happy hour hangouts. The next morning, we had a beautiful breakfast at TIDES before catching The Bay Lady boat to Shell Island. A coastally casual fine dining experience, Tides invites with bold flavors and tantalizing views of the surrounding St. Andrews Bay. Signature dishes feature the flavors of Chef Shane’s culinary upbringing in the Louisiana Bayou – such as the favorite Gumbo Ya-Ya and Gulf White Shrimp & Grits. After a beautiful morning at Shell Island, we enjoyed lunch at Pelican’s. An open-air beach bar at the end of the pier overlooking St. Andrews Bay, Pelican’s beckons guests and locals alike with favorite beach drinks, fresh tastes and live music. The shrimp basket was our favorite and while you wait, the kids can go down off the pier and play with the hermit crabs on the sand bar at low tide. There are three other dining options on the property as well. Bar 72 Pub & Eatery at the Bay Point Golf Club offers burgers, salads and sandwiches between rounds, as well as a full bar and lively happy hours. The new Cabana Cafe which is a “We Proudly Serve” Starbucks cafe with house made pastries, sandwiches and soups. And Hammocks Beach Bar at the private bay beach serves ice cold beers and wines. 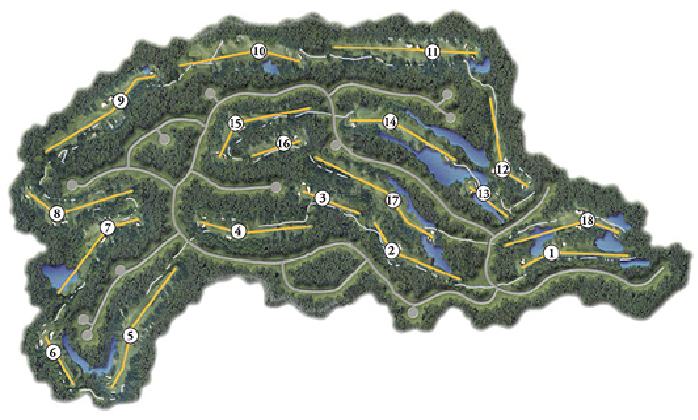 One of the resort’s unique features is the 36 holes of on-property championship links, including the only Nicklaus Design Course in Northwest Florida. The first 18, the Nicklaus Course, are inundated with the legend’s signature design touches. Playing an impressive 7,100 yards from the backset of tees, mastering the Nicklaus course means coming out ahead on the layout’s many risk/reward opportunities, including the signature island-fairway Fifth Hole. The 6,900-yard Meadows Course has the length to test the best golfer’s distance, and the classic Olde Florida layout is timeless and enchanting, with tall trees, strategically placed bunkers, tight fairways and areas of water in play at various points throughout the 18. The clubhouse offers up TaylorMade club rentals, alongside top apparel and accessories for purchase and golfers enjoy top-notch practice facilities with driving range, putting and chipping greens. Sheraton Bay Point Resort welcomes brides and grooms from engagement to “I Do” in paradise with unique coastal wedding and bridal party options designed to create a wedding experience of a lifetime. Multiple indoor and outdoor venues include the two Grand Ballrooms or the stunning outdoor St. Andrews Pavilion and Lawn overlooking the Bay. Brides seeking barefoot appeal find beauty along the Private Bay Beach. Serenity Spa at Sheraton Bay Point Resort welcomes guests to step out of reality and into serenity in its 12,000 sq. ft. facility, featuring exclusive amenities from sauna and whirlpool to the Reflection zero-entry pool offering calming vistas of St. Andrews Bay. With full-body wellness in mind, Serenity Spa offers treatments from massage and facials to salon and nail appointments. Overall, the resort is a great getaway for the whole family, even your dog! And if you are planning a destination wedding, the resort offers something for everyone to enjoy. Golf with the guys, a spa day with your girls, and a backdrop of the historic St. Andrews Bay for your big day! In addition to her role with East Alabama Living magazine, Amy owns and operates Amy’s Party Ideas, an Auburn-based business that develops and creates custom entertaining ideas. She also serves as a brand stylist for several national brands by providing photography and editorial content for their products and services. Her favorite job title is mom to one son, Cole.